Steve Seddon – Thoughts while in pusuit of a classroom that is "Totally Learned As"
Stimulating – Provocations that use variety of stimulating media to initiate and open up thinking. Engaging and relevant media will be more likely to motivate quality student responses. 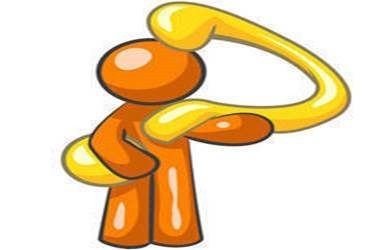 Hooks – Provocations that are designed to create interest, but also to ensure that that this interest is aligned to the concept (hooked). They aim to create student interest and inquiry within the boundaries of the concept. 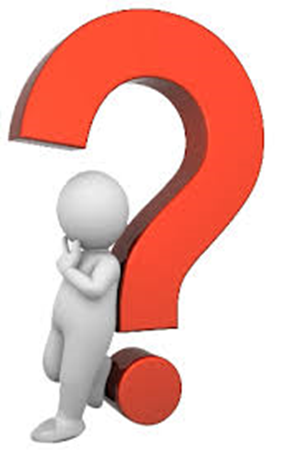 Thinking Questions – Provocations that are Higher Order thinking Questions. These are Open Questions that are often ‘unGoogleable‘. Answers to these types of questions will offer greater visibility into student thinking and create great opportunities for formative assessment. Answering these types of questions will also develop the skills required for students in ‘Tomorrows World’ – skills as ‘critical thinkers’ and ‘question askers’. Collaborative – When provocations are structured to be collaborative they will help develop many Higher Order Thinking Skills. In addition collaboration will also offer and opportunity for the students to spend more time ‘In the Question’. More time discussing and considering the question will allow more opportunities for students to make connections in their learning. As we explore concepts we aim to strategically position the provocations using a simple Inquiry model Explore – Explain – Apply. Using this model we aim to guide students inquiry around the concept. We aim to utilise provocations in the ‘Explore’ phase prior to supporting students with explanations. In this phase we want to connect to previous understanding, explore solutions and expose misconceptions. Provocations are also useful in the ‘Apply’ phase where it again offers the opportunity to connect learning. Using the provocations in this way could also be the starting point for self directed experiments and student led investigations/inquiry projects. We have been using an online app called Verso to deliver many of our provocations in class. Verso not only allows us to effectively manage the provocations, but it also has a number of features that enhance this pedagogical approach. Accountable – it is easy to track each students responses and comments to ensure each student responds. Authentic Reponses – Students can’t read other responses until they have posted themselves. Student Voice – Responses are anonymous (for students) giving them the confidence to respond. Collaborative – By structuring the provocations around collaboration it encourages the students to spend more ‘Time in the Question’ allowing more opportunities to make connections in their learning. Peer Acknowledgment – Students are able to offer ‘Likes’ and ‘Helpfuls’ to each others responses and comments, which encourages collaboration. Personalisation – You are able to easily group students to create teachable moments in the class – address misconceptions, group in similar ideas/different ideas. I have discussed the trial of Verso in my previous post ‘Flipping Inquiry -Exploring Verso’. If you use Provocations in your classroom and have some great ideas or feedback I would love to hear? How do you structure provocations? How do you use them in class? What makes a good provocation? Why do they work? This entry was posted in Uncategorized and tagged Deep Learning, education, eLearning, flip, flipped, flipped learniing, inquiry, provocations, thinking, Verso on June 12, 2014 by seddonsteve. 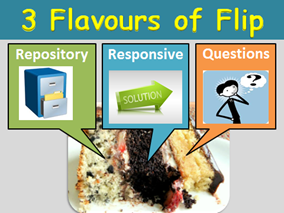 The flavour of my classroom has evolved considerably over the last few years to include flipped learning. 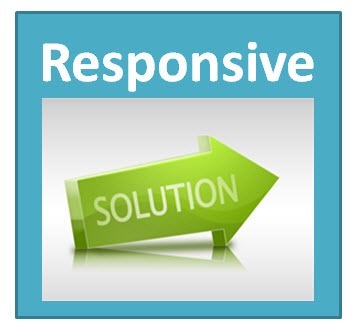 Phase 3: Responsive – More recently I have worked towards creating quick videos to respond to student needs. Phase 4: Collaborative – Also recently I have moved media related to questioning and collaboration to the Virtual Space. This evolution has framed 3 main aspects of flipped learning in my classroom today. These are the videos that are pre-created to explain particular concepts. I often use Camtasia to produce these screencasts and if possible keep them to a few minutes to allow them to be easily digested. They sit on our class website so they are accessible when and if the students need them – this really helps to personalise learning. I believe this to be different approach to a teacher who strictly schedules the watching of videos for homework. To compliment my own videos I also include a range of other videos from YouTube and related resources on our class website. 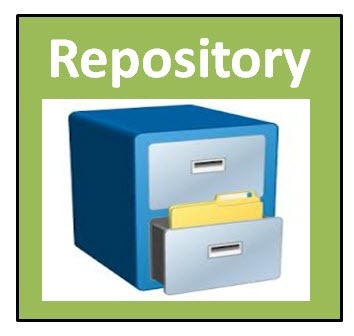 I consider this to be our ‘filing cabinet’ of resources for students to access. These are the videos that are quickly created in response to what is happening in class. They could be solutions to problem that a number of students need help with. They might also be the quick explanation to a part of a concept that a few students are finding difficult. Often they are the things that I realise I might be repeating a few times and could be better on video so they are accessible. I produce these videos quickly and quite often use the iPad App Explain Everything to make a quick diagram and post theses directly to our class space. A recent focus for our team has been ensuring that we create Inquiry in the classroom. It has involved us strategically using provocations to ensure students ‘Explore’ content prior to participation in tasks where content is explained. This is a consistent theme in many models of Inquiry – ‘Exploring’ always comes first! It is likely that those who follow flipped learning have come across Ramsey Musallam (Chemistry Teacher in US) who has adapted the ‘Explore–Explain-Apply Model’ (Karplus) to ‘Explore-Flip-Apply’ to suit flipped learning. The use of provocations can also be quite useful in the ‘Apply’ phase where students are able to develop further connections in their learning. Where possible this provocation and exploration can be part of the initial process of an Inquiry Cycle where students create original investigations/experiments. A tool that we have found very useful to achieve this collaboration is an online app called Verso. In other posts ‘Flipping Inquiry – Exploring Verso’ and ‘Harnessing Provocations for Deeper Learning’ I have discussed the use of Verso. 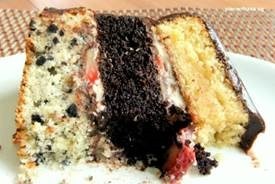 Great Cakes………………..…Yum Lots of Flavour! Creating a classroom learning environment is sort of like baking a cake. In either case you need carefully chosen ingredients with the plan of creating just the right balance. Rely on a number and mix of ingredients (Pedagogies). You can’t just use one! Are tasted as they are mixed to ensure that these are in the right balance. Result in specific flavours just right for those eating the cake. I believe that as part of a Flipped Learning Model we are able to create opportunities for deeper learning by moving structured inquiry to virtual space. Is moving the questioning and collaboration to the virtual space part of flipping? Could this be described as ‘flipping’ questioning? or is ‘flipping’ really just about flipping the direct instruction? Have improvements in online tools meant that we are now able to work more effectively with collaboration and Higher Order Thinking with students? I would love to here your thoughts on these questions. This entry was posted in Uncategorized and tagged education, eLearning, flip, flipped, flipped learning, inquiry, Pedagogy, provocations, Verso on June 12, 2014 by seddonsteve. Recently our Science team has had a focus on how we position Inquiry in our classrooms. We have been working towards planning activities that encourage students to explore concepts prior to delivering an explanation. Following this explanation we will plan for students to apply this understanding to further experiments, group activities and more analytical questions. When studying Scientific Concepts there are a lot of different Inquiry models that are designed for the construction of understanding. One of the keys principles of most models is that ‘Explore’ comes before ‘Explain’, then followed by some application or Higher Order Thinking. An early model of this was presented as Exploration, Invention, and Application (Karplus) also as Explore, Explain, Apply. Many will be familiar with an adaptation of it in the 5E Instructional model (Bybee) – Engage, Explore, Explain, Elaborate, and Evaluate. In recent years our team has increasingly used short snippets of online video to engage students and to offer a version of the explanation. In some classes we have been working towards a flipped classroom where there has been a clear focus on using the video to create a more effective use of class and homework time. I have been inspired by the work of Ramsey Musallam who has adapted the ‘Explore-Flip-Apply’ Model as he has fit Inquiry into a blended learning environment (a flipped class). Deliberate and thoughtful challenges created by the teacher with the intention of initiating thinking, extending ideas and exposing individual learning needs in order to inform practice. Effective provocations cultivate curiosity through a combination of carefully selected stimulus and high quality prompts or questioning. Provocations motivate students to think creatively; to discuss, question, predict and hypothesize. They challenge learner s to engage in big ideas, encouraging further inquiry whilst supporting students to take control of their own learning pathways. Verso is a web based app (works well on everything) that creates opportunity for student collaboration/discussion around a stimulus question. This includes the ability to add stimulus material – YouTube, Dropbox, links, photos, video……… Students are then required to post before they read and comment on others answers. For us this really met our need as we sought opportunities for students to ‘Explore’ a concept. Similar to when we have used Blogs and Discussion Boards in the past, we see more students having a voice compared to a traditional class discussion. As also commonly seen with online discussions we see students who were normally quiet in class now having a voice. However, a significant difference was that Verso was set so students were anonymous and that students were required to post themselves prior to reading the posts of others. This really encouraged student confidence to generating original ideas and to use original wording in their explanations. Following the students writing their own posts, it was equally important for them to confidently comment on the posts of others (also anonymous). This requires them to use their current understanding to analyse someone else’s post and write feedback. Such a task involves Higher Order Thinking and really exposes current knowledge and misconceptions. This is what it is all about – expose what’s there and have students construct their own understanding of the concept. 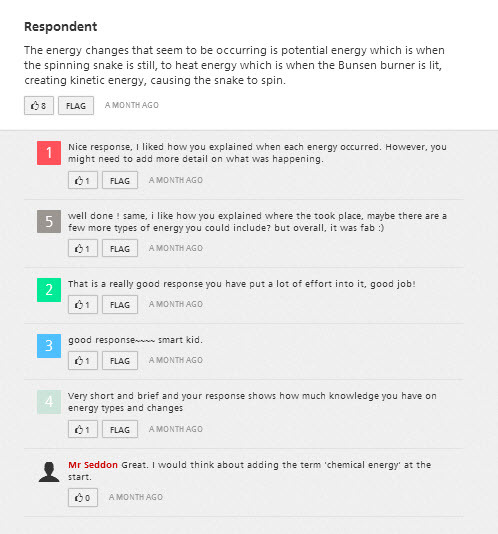 The engagement in this peer collaboration is also encouraged as students can ‘Like’ comments and they can reward someone for a ‘Helpful’ comment. The sign of a great student centred activity is that all students are actively discussing the concept in their own words – Verso definitely hit the mark here. As a teacher being able to see each student’s original post and comments also offers a visibility of their learning – you can almost watch it happen! Verso also enabled levels of differentiation for our students. In its collaborative nature this sort of activity allows students at all levels to be able to participate and improve their understanding. Students with a limited understanding can build their understanding with the support of their peers; students with a higher level of understanding can test the limitations of their understanding by analysing and discussing the posts of others. Additionally, as a teacher one of the great features is that you are able to group student responses together. The creation of groups of students with similar responses or similar misconceptions can then allow responsive instruction where you might focus particular instruction on specific student groups. This offers another level of differentiation as your enter the ‘Explain’ phase in the Learning Cycle. It is this sort of match, where Technology is enabling the Pedagogy that working as a teacher is really exciting. We are looking forward to ‘Exploring’ Verso as we purposefully ‘Explore’ with our students. If you are interested in having a look, check out the Verso site. This entry was posted in Uncategorized and tagged education, eLearning, flip, flipped, flipped learniing, inquiry, learning, Pedagogy, provocations, Verso on November 26, 2013 by seddonsteve. I am sure there are no arguments that the effective use of questioning and genuine classroom discussion is one of the keys to maximising learning. 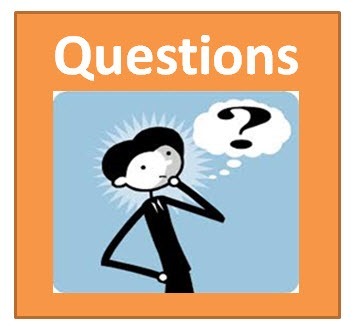 In recent years many of my students interactions (including questions and discussions) have moved online……………. and wholly virtual cow, this is a game changer! The last couple of years I have been flipping a number of my classes with the use of online video. This has allowed time in the classroom to be increasingly student centred and to be all about the learning activities that work best when we are as a group. This has resulted in the shift online for both the independent work (mostly at home) and for some of the collaborative work that can flow in/out of the classroom. Sitting alongside these tasks is our questions and discussions, which we have trialled in a variety of formats – learning management systems, quiz tools, blogs, Google forms and message boards. 1. Checking student progress – What has been finished? What were the key words in your summary? What were the concepts that you have summarised? 2. Student ‘help’ questions – What don’t you understand? What do you need help with? What do you want me to cover in class? 3. Formative assessment – Question’s to test understanding of the concept? 4. Student Inquiry – Genuine student questions related to the concept. What does this make you wonder? Why does this occur? What areas interest you? The last category (Student Inquiry) is really where I want to shake things up a little. After all, when we learn Science, what we are really talking about is the process of students understanding the amazing world around them. With this in mind, it means that the ‘what does this make you wonder’ questions are what we need to hit to truly cognitively engage students in Science. I believe there are some great benefits to the other types of questions and strategies I am using in my class. However, I am wary that with these alone it could lead to a more ‘factory like’ content delivery schedule and I could miss some of this essential engagement and inquiry. I also wonder if my previous attempts to curate these types of student inquiry questions on our blog/message boards have actually got in the way of the natural flow of this type of questioning – too much control! As a science teacher how can I foster natural inquiry and discussion about Science? Could this be another area in the student centered classroom where I need to step back and release responsibility? Am I able to let the questions flow naturally? Where in the learning cycle would be the best place to encourage this? How can I facilitate this so that it will be intuitive for students to ask and answer? Don’t start with the tool – I want to be really clear about my needs before I choose and settle into a tool. Don’t get me wrong, I still intend to get really excited by the fantastic tools out there. Currently I am looking forward to getting on Verso to enable the setup of the inquiry. There are also some great options for putting quizzes alongside your videos – Google forms (now with embedded video), Sophia, Camtasia and TED Ed. Go for something intuitive – It needs to be intuitive for students. It can’t be too many clicks away or too hard to post. Having notifications could also be beneficial to hook students back into the discussion. For many the discussion formats of Facebook, Verso, Edmodo , Schoology and Ask 3 (if an iPad school) are all the sort of online discussions that seem intuitive for students. Plan for Inquiry – Plan opportunities and activities that encourage students to inquire. Plan activities that scaffold the skills to ask and answer questions. Consider the timing/position of these discussions in the learning cycle. I would love to hear from other educators about their approaches in using ICT to create questions and discussions that promote inquiry. This entry was posted in Uncategorized and tagged education, eLearning, feedback, flip, flipped, flipped learniing, flipped learning, inquiry, learning, Pedagogy, provocations on September 26, 2013 by seddonsteve. Don’t flip out about my flipped class because my flip is all about what I am flipping in and not what I am flipping out. If I haven’t lost you by using the word flip 5 times in one sentence, let me explain. 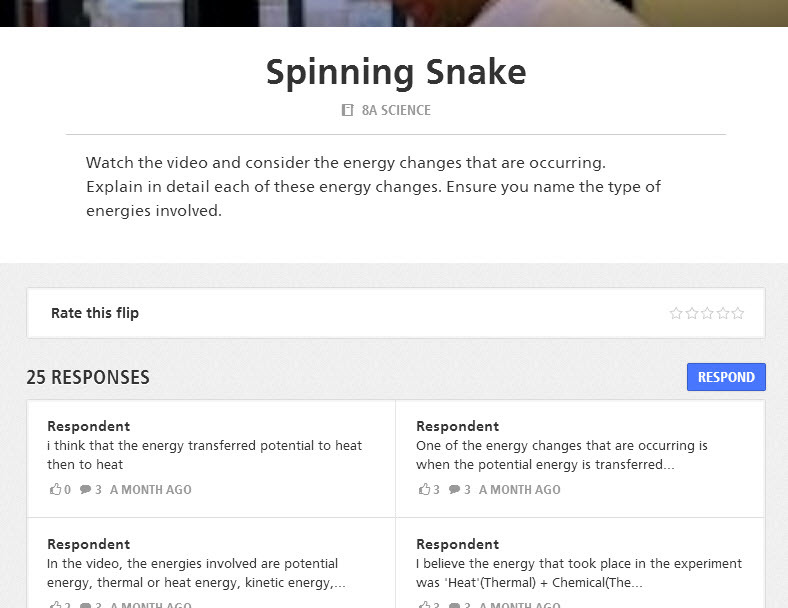 Over the last 2 years I have been transforming my classroom by utilising ‘flipped learning’. In class I am using screencasts as a tool to deliver direct instruction with the goal of more effectively using class time. This isn’t always a strategy that is well understood by teachers who have not used this approach. Often they have a perception that there is an increased focus on the direct instruction (now in the videos) and that class time is used to complete homework questions (students working mostly individually). 1. Focus on what is being ‘flipped in’. What is happing in class is very far from students sitting around doing homework. Like many other classes that use flipped learning, our time together as a class is very active and has allowed us to find time to implement many other learning strategies that were difficult to find the time for ‘pre-flip’. These are all the things that the discussion of flipping should be about. 2. The flipping out bit isn’t just ‘out to homework’. Sure, direct instruction can be accessed at home and this helps create class time to work together. However, I would like to think of it more as moving the instruction to be anywhere and anytime. Particularly as students are now 1:1 and also mostly all have phones, this instruction is now at their fingertips. Instruction is now anywhere and anytime they need it – at home, in class, when they are stuck on something or anytime a question pops into their head. It is really just putting the access to the direct instruction in the student’s control. Combine this with a pause and rewind button, you now have control on the pace of delivery. The direct instruction can now be delivered most effectively at the point of need and at the pace they need. 3. Direct instruct still exists in my class. When you say this, I am sure the FBI (Flipping Bureau of Investigation) doesn’t hunt you down and take your ‘Flip Licence’ away. At least I hope not! Yes, direct instruction is still needed and still has a place. Now, direct instruction isn’t the starting point, not everything has to be delivered in this way and as a result direct instruction is only a small proportion of class time. When direct instruction is used, it can be done in a more targeted approach using formative assessments. It can be used to target a specific area of need for the whole class or a specific audience (smaller group). Direct Instruction is now a purposeful tool rather than daily practice. 4. This baby isn’t my Silver bullet. Flipping your class is far from the ‘Silver Bullet’ that will improve learning outcomes for everyone in your class. I prefer to think of it as one of my ‘Sliver Tools’ on my ‘Silver Educational Utility Belt’. Yes, I am using the image of a Batman style utility belt. It has a pile of amazing tools that can be busted out to get the job done. The modern classroom requires this approach – no classroom can be solved with just one tool. Every great classroom has just the right mix of things happening – flipped learning can be one of these things. 5. The ‘Flip Community’ now makes sense. I have trialed lot of different strategies in education and I have never had such an interest in the associated community of educators as I have with the ‘Flipped Community’. When I stop to think why this might be the case, it is true that the flip bit is what we all have in common. However, this bit isn’t what really hooks me in. What really draws me in is the differences. How do each of these educators use their class time – what else is going on in their class alongside this strategy. I really want to know “‘What has been flipped in?”. The power of the flipped classrooms is what I am flipping in (what is happening in class) rather than what I am flipping out (what is happening out of class). This entry was posted in Uncategorized and tagged education, eLearning, flip, flipped, flipped learning, Pedagogy on July 3, 2013 by seddonsteve.